I like to be prepared and try to be as organized as possible, so I'm always on the lookout for just the right bag for travel and what-not. I like to even keep a bag in my car for emergencies with a change of clothes, a few snacks, etc. I found this bag and wanted to tell all of you about it because it is so versatile. 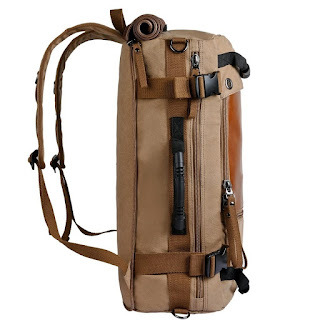 ibagbar Canvas Travel Backpack is just the right size for many things. You can take it hiking, on a weekend get away, keep it in your vehicle for emergencies, use it as a briefcase, etc. This bag can be carried at least 3 different ways. It can be used as a duffle/ handbag/ brief case/suitcase when traveling. 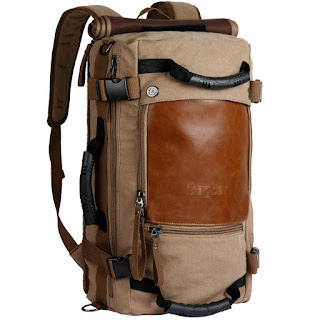 There are 2 durable straps in a hidden compartment to make this bag a backpack/ rucksack/satchel. There is also a detachable shoulder strap that turns this backpack into a messenger bag/shoulder bag/ mail bag/ cross body bag. This is a very sturdy , durable bag. 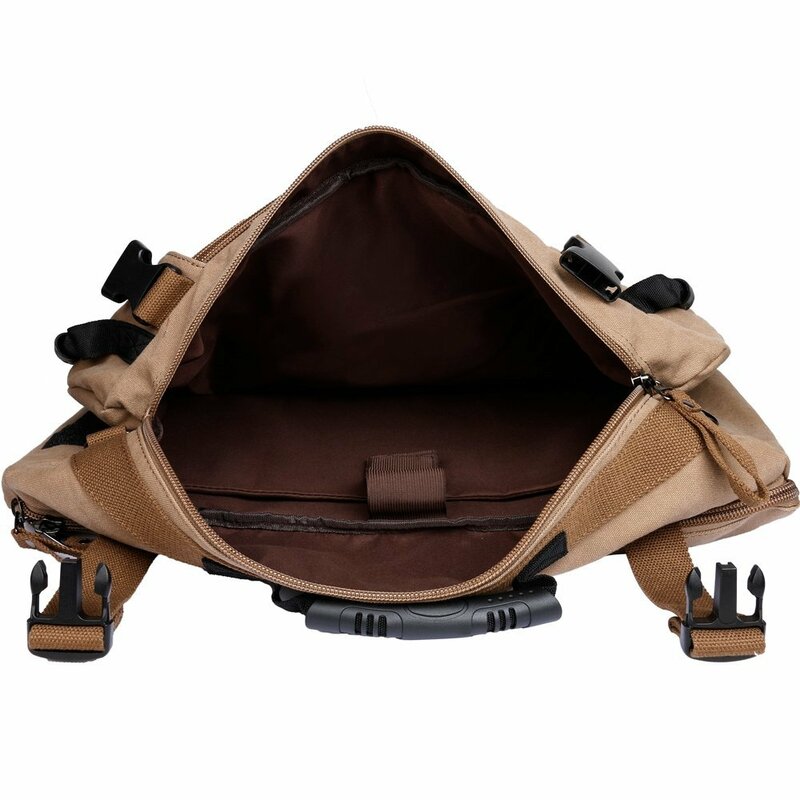 It's made of 90% high density cotton canvas and 10 % PU Leather. It feels well made when you pick it up. It's roomy too, it measures 12.5" L X 20" H X 7.5" W. There is one main zip compartment, plus a laptop compartment that will hold a 17" laptop, 2 front zip pockets, and 1 side mesh pocket. Plenty of places to keep everything you're carrying organized.